Beauty may be relative, but you just have to draw the line somewhere. 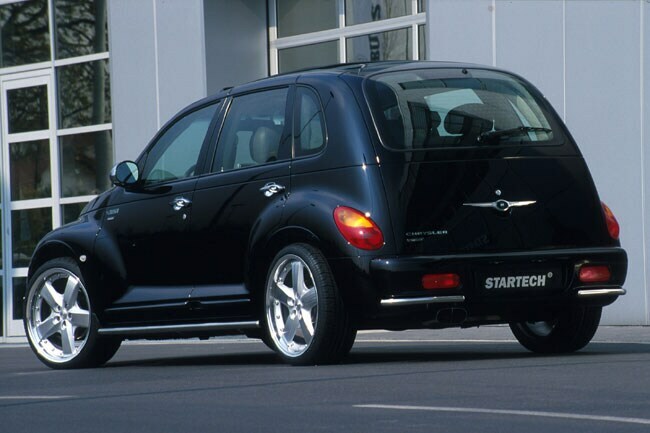 Presenting five of the ugliest automobiles to hit the road over the last decade. 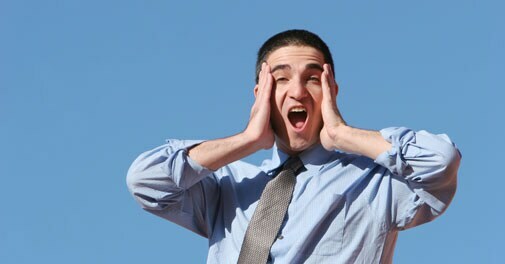 When was the last time you saw a car that made you gasp in horror. A beautiful car is a joy to behold. Everything about it - from the curves to the powerful engine humming within - speaks out, beckoning you to hop in and go for a spin. On occasions that you spot one of these metal beauties, you gush, burst into poetry (pausing from time to time to rattle off impertinent data on cubic centimetres and brake horsepower), and wonder aloud - a tad jealously - whether the overweight tycoon crouched on the backseat deserves a piece of beauty such as this. And then again, there are days you see something akin to a melted soapdish that makes you wonder if its creator was smoking something illegal when he first dreamt of it. But, face it, even the greatest of minds can have a bad day - and sometimes - a bad day is all it takes for the creation of a truly monstrous vehicle. Just for laughs, let's take a look at every eyesore on four wheels to hit the roads over the last decade. Not all of them made it to Indian shores, and thank heavens for that. Before we get to the form, let's talk practicality. Make no mistake, this clever ultra-wide car can easily carry six people in two rows, making it the most ideal mode of transportation for a relatively large family on a weekend trip. It has bagged quite a bit of appreciation too, including Top Gear's Family Car of the Year award for four years in a row, and a certain degree of goodwill from grandpas hankering for the good ol' minibus age. 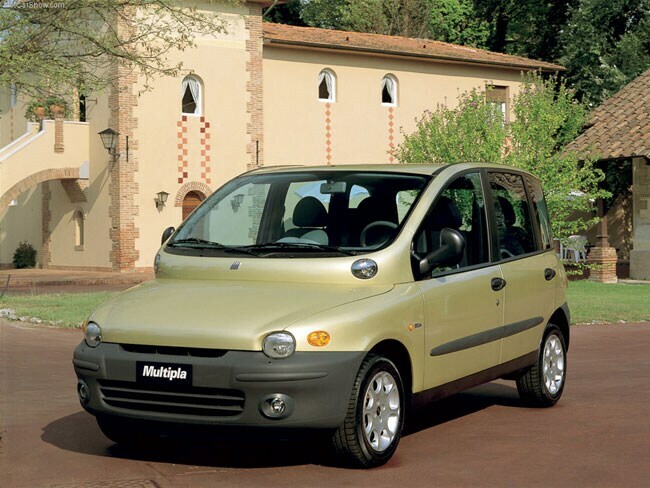 But, that said, Fiat's idea of good looks - at least with regard to this baby - is most unconventional (so much so that Simon Cowell, the snarky judge from American Idol, even called it 'diseased' when confronted with a photograph of the Multipla). Sporting a weird bulbous body and an even weirder snout, it has a porcine appearance that is - in two words - simply unforgivable. Form does not follow function in the Multipla; it sits on the pavement and gives up the ghost. For one thing, this weird-looking vehicle couldn't possibly have been christened with a better name. 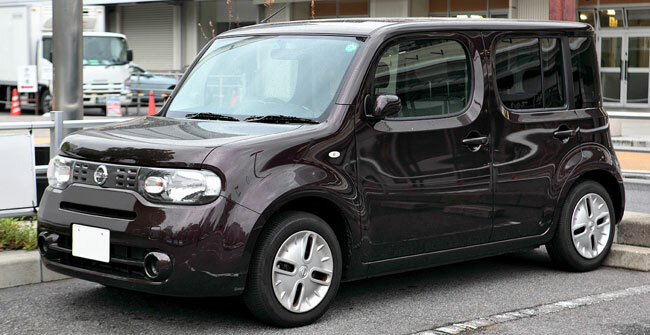 The Cube, which became quite a rage in the Japanese market, looks like the product of an unholy union between a car and a bootlegger's wagon - and is certainly not something you would like to be seen driving through a respectable neighbourhood. But its idiosyncratic design notwithstanding, the vehicle does justify the advertising tagline that proclaims it as your "home away from home", fulfilling its purpose of acting like an 'active lifestyle' car for couples in their early thirties. Well, the Cube's 1.6-litre petrol engine may not exactly power it through the sound barrier, but hey, what's with the hurry, anyway? Now, this is a five-door hatchback with an identity crisis. While the vehicle is classified as a truck in the United States in accordance with CAFE fuel economy calculations, it is regarded as a car on every other parameter. Why, you ask? Well, it almost looks like the manufacturer started on it with a limo in mind, but - somewhere midway - lost patience and ended up crafting it an embarrassingly flat derriere. Still, you can't help but admit that this car with a 2.4-litre engine does exude a certain degree of charm. In an age where car manufacturers are always competing to create that coveted "different design", it's natural for a few to stumble out with small-ish mistakes - pun intended. A dual passenger car, the Fortwo looks like a slightly souped-up version of the Reva, without the electric capability, and a Mitsubishi engine that can rival the Maruti Suzuki-800. 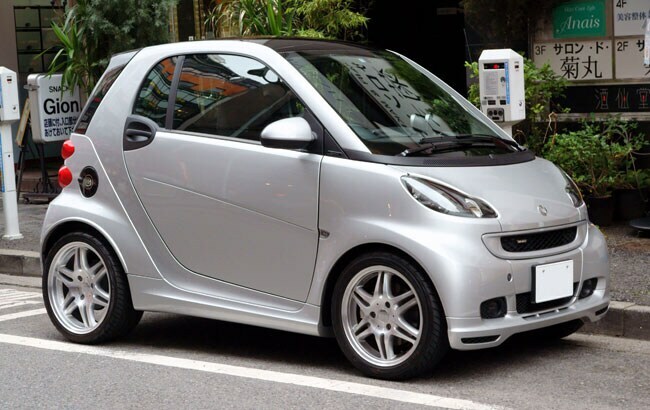 However, despite the frivolous bubble-like design that's unlikely to draw any wistful sighs from onlookers, the Smart Fortwo does fulfill the basic requirements of a sub-compact by zipping along urban roads with relative ease, sipping at its fuel as if with a straw, and providing for the occasional eco-conscious couple who don't approve of taking out their Bentley Flying Spur out everytime they feel like a trip to the grocers. To really appreciate the Fortwo, you only have to look beyond its looks - which may be difficult but not entirely impossible. One small glimpse, and you realise that the Pontiac Aztec has several good ideas going for it. However, piled up gracelessly as they are on the car, they end up making the vehicle seem more like a four-wheeled disaster with little buggy eyes than the technological wonder it was initially made out to be. Look inside, and you find more otherwise unconventional ideas in place, including a removable cooler, rear stereo controls, a sliding cargo floor with grocery compartments and an optional camping package with an attachable tent as well as inflatable mattress. Though the Aztek was hailed as "GM's first revolutionary step toward design innovation" in the concept stage, it was ultimately panned - even prompting a top company executive to famously compare it with an "angry kitchen appliance". 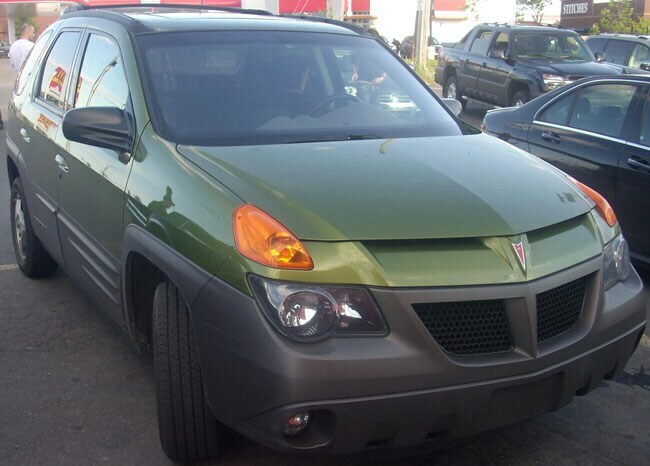 However, there has been a resurgence in the Aztek's popularity in recent times, mostly because of its association with Walter White - the protagonist of popular television show Breaking Bad. Whoever said we aren't ruled by the idiot box!